Born July 21st, 1959, Warren grew up in Montgomery, Alabama and graduated from Sidney Lanier High School. Warren furthered his education at the University of Alabama, graduating with a degree in Business Administration/Marketing in 1981. 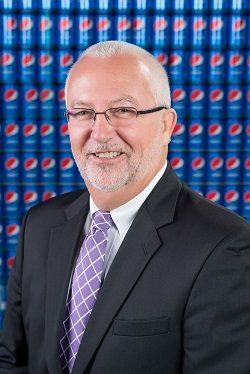 He began his career in the soft drink industry in 1985 when he joined the Mobile Division of Buffalo Rock as Food Service Manager. He spent the previous four years in the food service brokerage business. Before joining the Executive Leadership Team as Vice President of Customer Development, Sales and Service, Warren has held various management roles throughout our divisions and corporate departments. From May of 1996 until August of 2005, Warren was the General Manager of our Pensacola, Florida Division. Warren served as the VP of Customer Development and Sales before being named in November of 2015 as the VP of Field Execution. Warren and his wife Alisa have two children; Brittany, a graduate of the University of Tampa and Ben, a graduate of the University of Alabama. Warren and his wife Alisa attend a2 church in Hoover, Alabama. His other interests include; golf, fishing, hunting and mission trips with his family.